At Al-Anwar Designs, we give it all we got for every single project we handle. That's why we like to share our work with you. 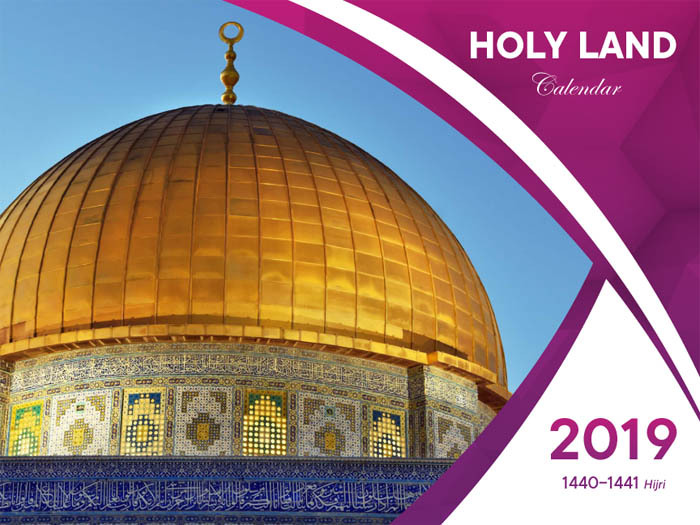 The all new, "HOLY LAND" 2019 calendar is ready. 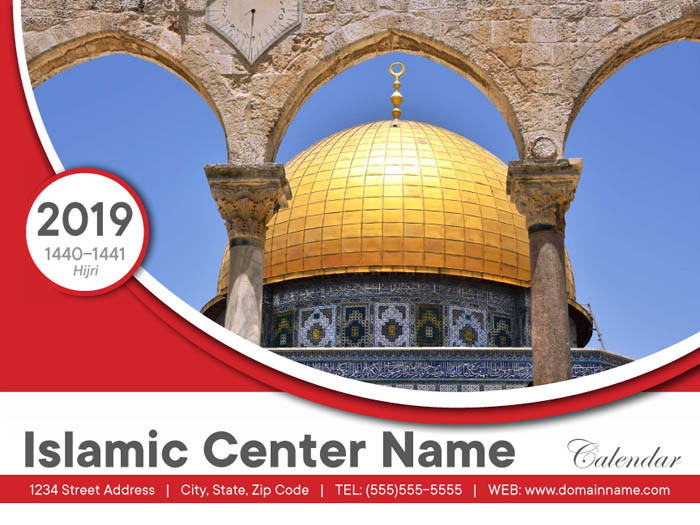 This year, we're offering 2 unique designs with some stunning photos from the Holy Land featuring Al-Masjid Al-Aqsa with all of its landmarks and Mosques along with Mosques from other parts of Palestine, one for a no ads general purpose and another for the Islamic centers/schools or businesses who would like to include advertisements. Click on any of the image thumbs or PDF links below for a larger view. Browse the complete General calendar. 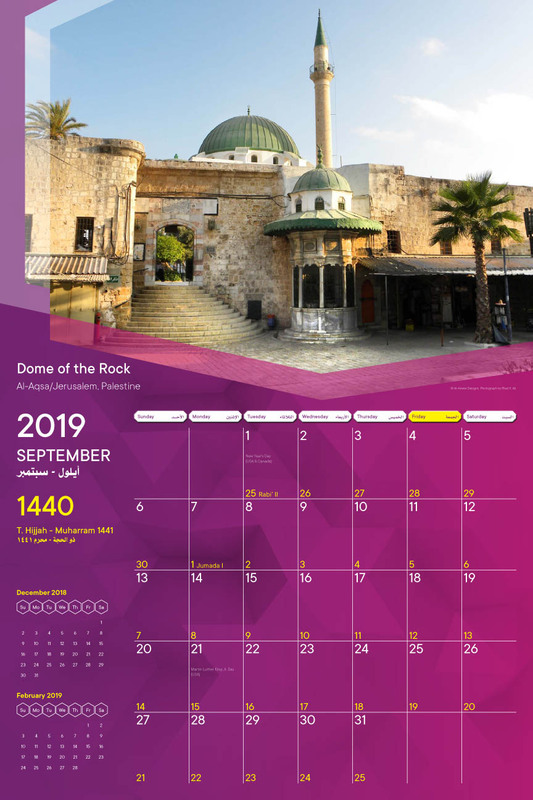 Browse the complete Masajid calendar. 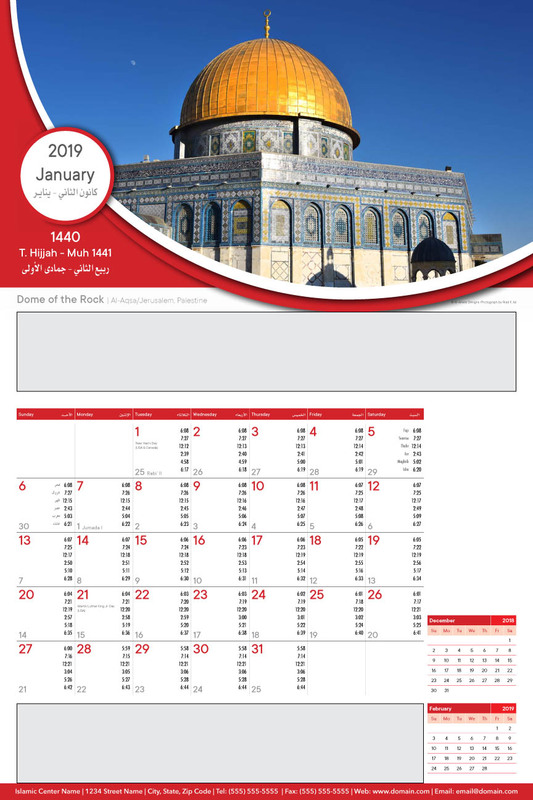 You can personalize the "HOLY LAND" calendar to your taste, by placing your city's prayer times, advertisement, organization's/business's information, and many more. Contact us for more details. See a sample personalized page with ads placement.